Overall the board is up there in the range of high-quality SUPs. 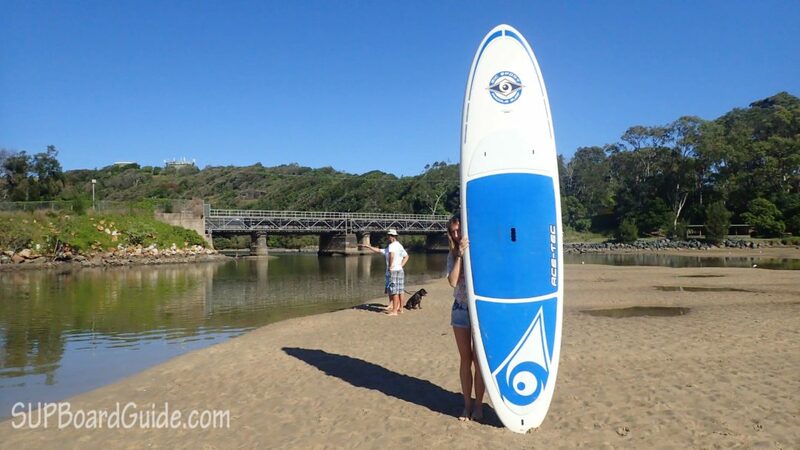 It’s versatile, resilient and user-friendly for all levels of SUP riders. The only thing I disapprove was the cost price in accordance with what you get. I’ll expand on this further down. The Ace-Tec comes in three sizes. 9’2, 10’6 and 11’6. These options, while not as extensive as other SUPs such as the Naish Nalu, provide ample opportunity for a rider of any size to find a board that best suits them. There’s also a choice of four different color schemes! The big bummer was that the side fins were not included with the purchase. A single FCS fin is fine for both conditions, but it’s preferable to be able to mix it up. Considering the cost of this board, I expected the fins to be included. It’s a solid board but not weighed down by its durability. Taking your board from the car to the water is an easy process. There is a process to create a durable plastic called Thermoforming; it’s the same process used when making particular aircraft windscreens. That’s some reassurance right there that an Ace-Tec can take a good beating. The BIC Ace-Tec is pretty low on the extras. The one extra I observed was the dual leash plugs. A dual leash plug is an advantage or disadvantage, depending on who you talk to. Having 2 points of anchor is safer, it’s a stronger system and more reliable. It means even if one plug were to go, you’d have a backup; it also means there are 2 points to absorb any shock from the board being flung into waves while you go the other way. 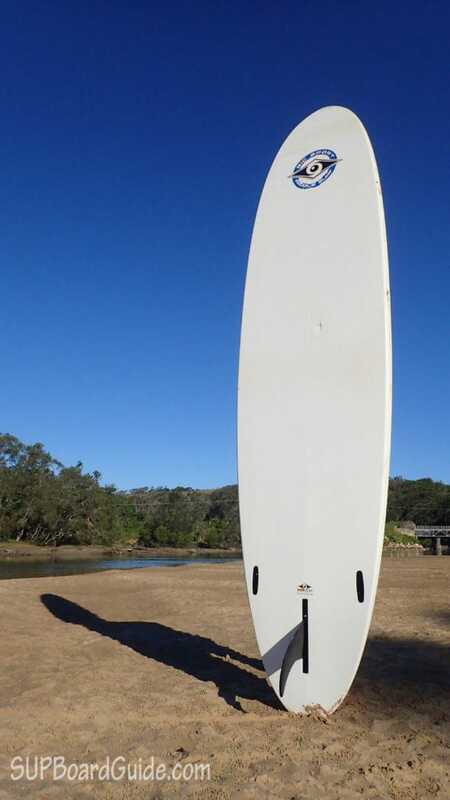 However, some people in the surfing SUP community will argue that having an offset anchor in accordance to how you surf (right plug if you’re natural or left plug if you’re goofy) means if the board springs back it won’t come hurtling back at your face. My opinion is that it’s not particularly necessary, these days it’s so rare for a plug to fail, the technology has improved considerably. You’ll also only use a dual plug system in the surf, there isn’t the same strain on the leg rope in calm water, so it’s a minor feature for only half the boards use. Like I previously said, unfortunately, the cost price of this SUP doesn’t match up. 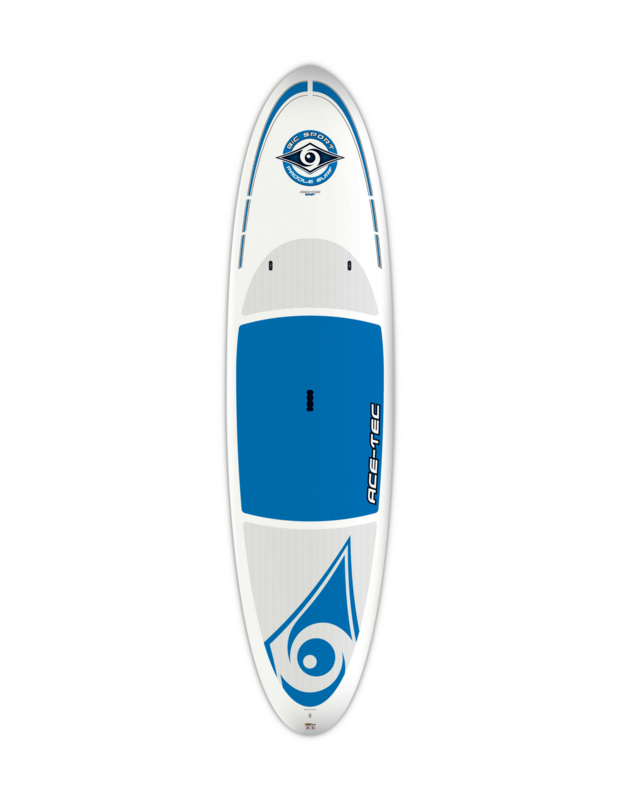 Though this is a great board, you can get other equally good boards like the Naish Nalu or the inflatable iRocker Cruiser instead. You also have to buy your paddle, side fins, and leash separate with BIC boards, so it’s a what you see is what you get kind of a deal. 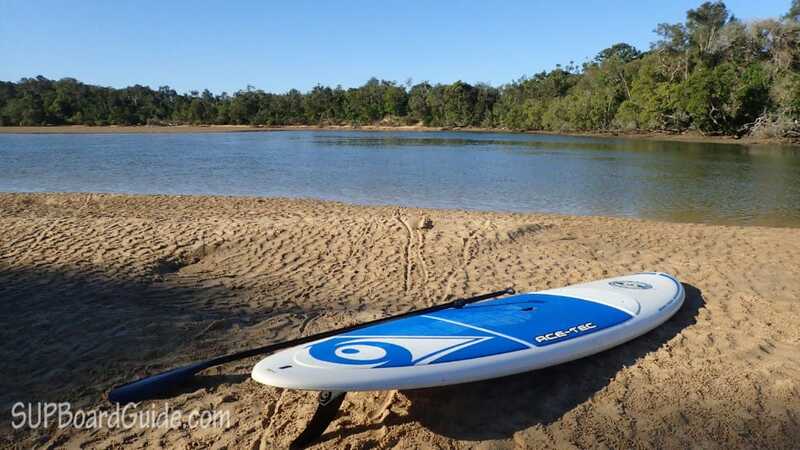 The Ace-Tec surprised me, and I did genuinely enjoy paddling it. It’s a great beginners board being stable and easy to steer. The toughness also guarantees any collisions you may get in while getting used to SUPs won’t be visible or affect the board’s performance. 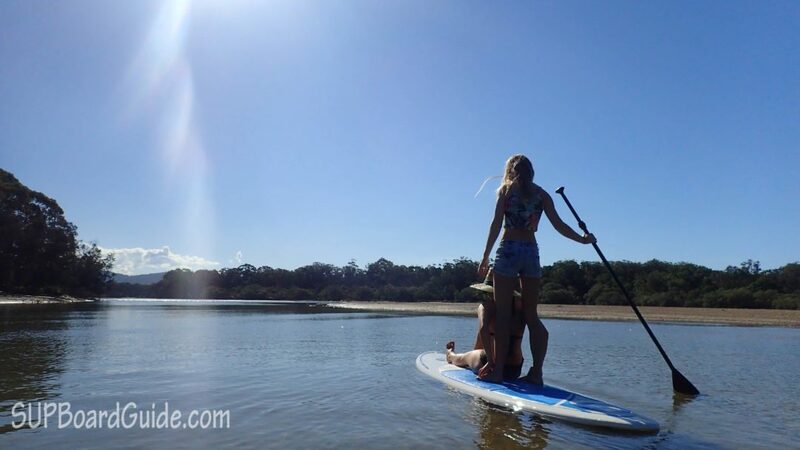 It’s ideal for river cruising with a friend or testing yourself in some smaller size waves. If, however, you are looking for a high-performance board for waves you’ll probably find this board a bit clunky after a short time. You’d be better off looking at a wave performance like the Fanatic Allwave. 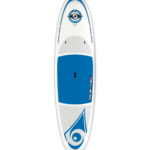 I also found the price to be a bit high considering you don’t even get a paddle, leash or even side fins with the board. At least the paddle and fins should be included in this price range. Not really beginner friendly. It does, however, suit those of you, that either want to stay in flat water and don’t need the side fins or the ones that want to upgrade to a premium paddle anyway. I must say though I won’t doubt BIC for watersports as I did previously! 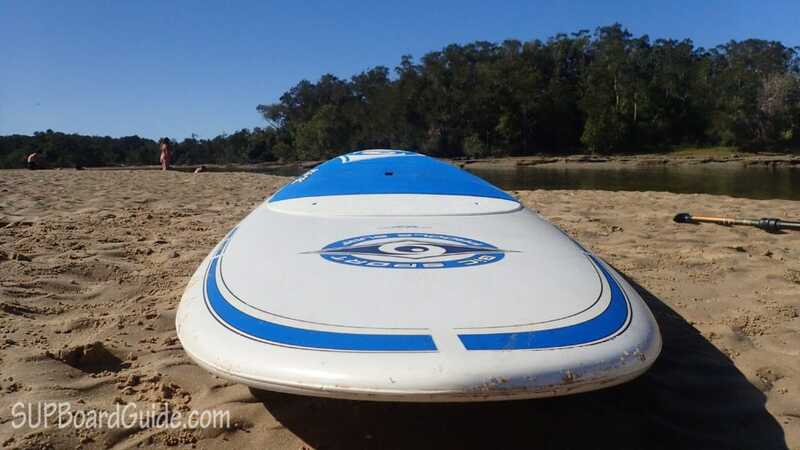 They are producing boards that are up there on the high-end market scale for SUPs.